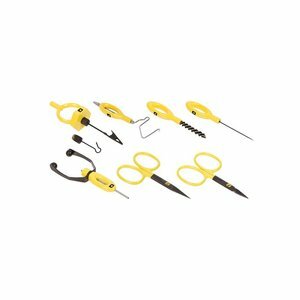 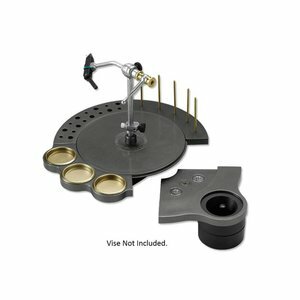 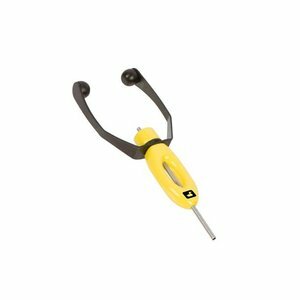 Loon Fly Tying Tool Kit, Features the Ergo Scissors, Ergo All Purpose Scissors, Ergo Bobbin, Ergo Bodkin, Ergo Whip Finisher, Ergo Dubbing Brush and Gator Grip Dubbing Spinner. 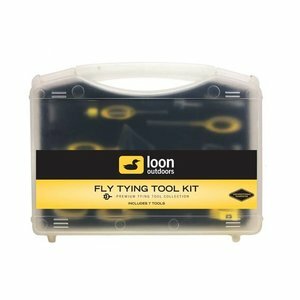 Loon Fly Tying Tool Kit, Packaged in a heavy duty travel case and featuring the Ergo Arrow Point Scissors, Ergo All Purpose Scissors, Ergo Bobbin, Ergo Bodkin, Ergo Whip Finisher, Ergo Dubbing Brush and the Gator Grip Dubbing Spinner, this is an excellent choice as a gift for the first-time tyer, or the long-time tyer who wants to trick out his bench with something new. 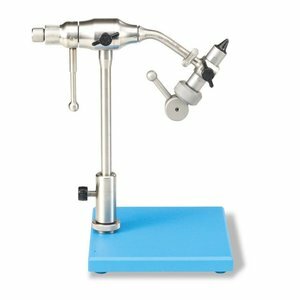 The Anvil Atlas vise features machined stainless construction, delrin sleeve bearings, tool steel jaws, 7/0 to #32 hook range, cam action lock, separate tying friction and spindle lock and is reversible for left handed tiers. Loon Ergo Bobbin, An ergonomic and performance update to the indispensable tying tool. 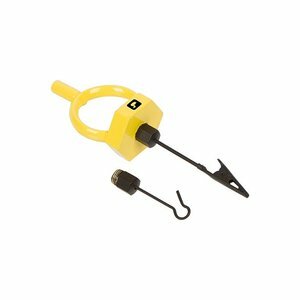 The powder coated handle rests between the thumb and fingers, while the spring steel spool holder allows for easy adjustment in tension.